This entry was posted on August 9, 2015 by joeleagle. 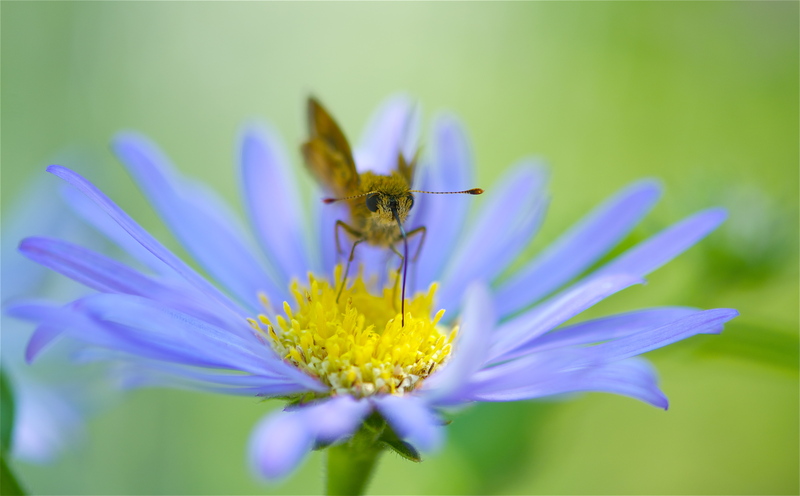 It was filed under Flowers, Insects and was tagged with Aster, Butterfly on a flower, Fiery Skipper, Hylephila phyleus. Perfection as usual my friend!!! When are you gonna come to Tennessee and shoot some pics! ?